"I'm finding it hard to look past a Liverpool victory, although I sense that Roma will score. Di Francesco's side will be relatively confident of a victory in the return leg, and therefore they wouldn't be too disappointed with a 2-1 defeat. That's what I'm backing here." Eusebio Di Francesco's Roma have lost their last three away matches in the Champions League, and will do well to get a result away at Anfield, where Liverpool are famously so fearsome on European nights. But Roma have shown confidence in their away performances this season, even if they haven't always collected wins. Their positive approach in the 3-3 draw at Stamford Bridge in the group stage, for example, was highly impressive and somewhat atypical of Italian sides, and their performance at the Nou Camp was much better than the 4-1 loss would suggest. Di Francesco's key decision here is his formation. Having played a back four for the majority of the campaign, he surprisingly switched to a three-man defence against Barcelona with great success, but that approach would surely be hugely dangerous against Liverpool's all-star front three. However, he could modify that system and instead play a five-man defence, providing extra cover at the back against the two wingers, Sadio Mane and Mohamed Salah. The latter, in particular, could be very dangerous against his former club, and Di Francesco may decide that he doesn't want to leave Aleksandar Kolarov isolated against him. A back five, then, would make sense, with Alessandro Florenzi playing on the right flank and getting goalside of Mane. Kostas Manolas, Federico Fazio and Juan Jesus would play at the back. In the centre of the pitch, Roma must play at a high tempo, because they'll be up against Liverpool's energetic midfield press. The home side's skipper Jordan Henderson will return from suspension to play at the base of midfield, probably with Alex Oxlade-Chamberlain and James Milner just ahead, as that trio performed so well against Manchester City in the quarter-final. Roma have a pretty fearsome midfield trio themselves, though. Daniele De Rossi will play the holding role, protecting the defence and probably picking up Roberto Firmino when he drops deep. Radja Nainggolan provides the energy and Kevin Strootman offers a touch of guile and passing quality when Roma win possession. They should be prepared for Liverpool's press, but it remains to be seen how they attempt to bypass it. Nainggolan can carry the ball well, but Roma may look to play more directly into the forwards. Roma's front two against Barcelona was Edin Dzeko and Patrick Schick, and they may start again here. Liverpool have looked more solid defensively in recent weeks, with Virgil van Dijk proving a good addition and Dejan Lovren performing steadily too. Dzeko, however, has been performing excellently this season, with his hold-up play very impressive and his ability to get on the end of crosses still exceptional. While winger Diego Perotti is available again after an injury lay-off, he might be forced to sit this one out, and offer a supersub option later on. Roma could play narrow here, which would leave Liverpool's full-backs free to attack. Trent Alexander-Arnold performed excellently against Manchester City, while Andrew Robertson offers great left-footed delivery from the opposite flank. Liverpool will attempt to start this game at a high tempo, and get the ball to Salah as quickly as possible. Jurgen Klopp's side will look to dominate in terms of territory rather than possession, and will look for any counter-pressing options in the opening stages as they attempt to win the ball quickly and launch immediate attacks, as they did so successfully against Manchester City. I'm finding it hard to look past a Liverpool victory, although I sense that Roma will score. Di Francesco's side will be relatively confident of a victory in the return leg, and therefore they wouldn't be too disappointed with a 2-1 defeat. That's what I'm backing here. 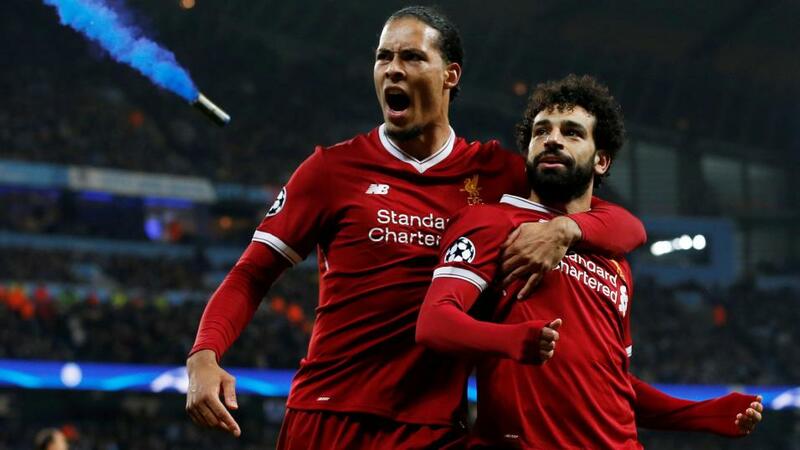 Despite managing to avoid Real Madrid and Bayern Munich, the route to the Champions League final will not be easy for Liverpool. Teams don’t get to Champions League semi-finals on luck alone, Roma are at this stage of the competition on merit, and after that incredible turnaround against Barcelona in the quarter-finals they will be up for this. However, the Italians have failed to progress in their last six two-legged ties against English Clubs, their last attempt was when they failed in a penalty shootout against Arsenal in the 2008/09 Champions League last 16 game. More recently they visited Stamford Bridge in this season's group stage where they recovered from 2-0 down to record a memorable 3-3 draw, in fact their last three trips to English clubs have all ended in draws. They warmed up for this by comfortably beating SPAL in Serie A 3-0 away from home on Saturday. Liverpool though were also experiencing a great run of form until they managed to throw away a two goal lead in the final 11 minutes against a struggling West Bromwich side on Saturday. The Reds are odds-on to win, trading around [1.60] on the Betfair Exchange, and I think that is about right. They are also the top scorers in this year’s Champions League with 33 goals and I am sure will be fully focused on getting a good result to take to Rome. After what happed to Barcelona, I think the Reds will continue to push for goals even if they are ahead, looking to take as wide a margin victory as they can with them next week. For that reason I will be backing Liverpool on the Asian Handicap -1 at anything over [1.95].